Getting consistently sharp images on a camera can be tricky. Especially if you’re utilizing the factory settings on a Digital SLR. 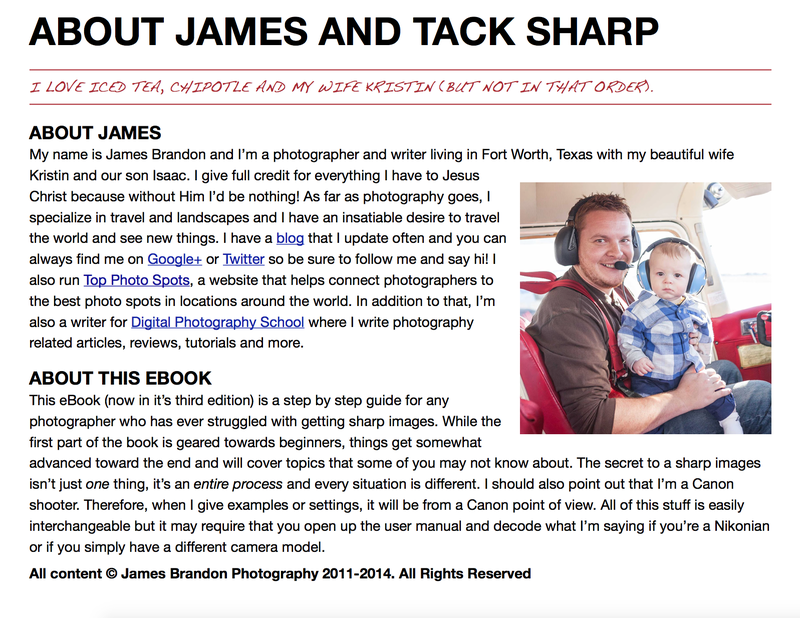 Achieving tack sharp images is a culmination of techniques and custom function that are sometimes cleverly hidden inside your cameras menu settings. 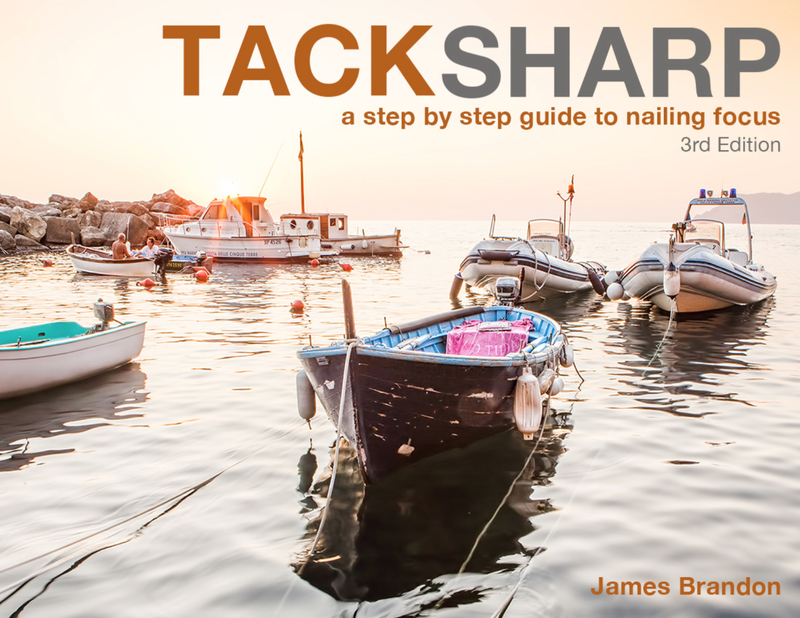 Tack Sharp was written for anyone who has ever struggled with getting sharp images in different situations. 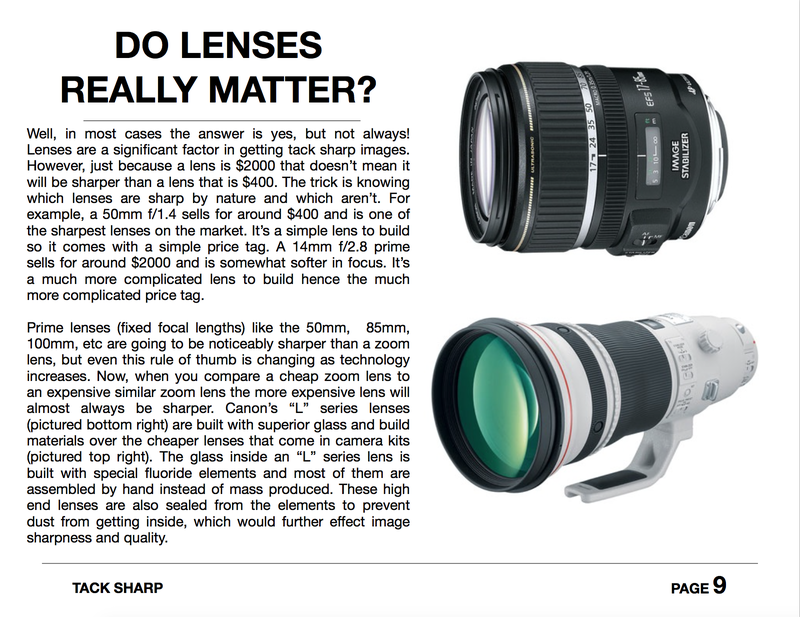 Maybe you recently purchased a fast lens, but can’t figure out why the camera keeps focusing on the wrong part of the subject. Or perhaps you feel as if you’re doing everything right but still come out with slightly soft images. This process can be extremely frustrating and hard to deal with. 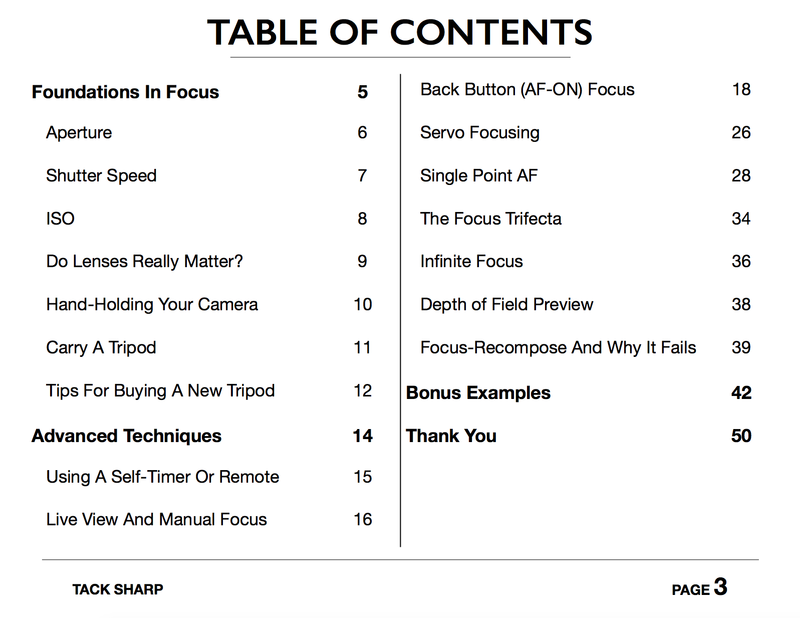 Within the pages of this ebook, you’ll discover the tips and tricks used by the pros to take full control over the advanced systems of focus within today’s digital camera systems. Along the way you’ll see actual examples of images where these practices were put in place, often times in situations where focus would have been next to impossible to achieve otherwise. 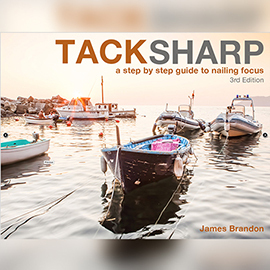 If you struggle with getting consistently sharp images then look no further, this ebook is for you!